Robots are electro-mechanical machines that are programmed to automatically carry out a task similar to that of the human labor in industries. Robots are controlled by electronic circuitry and an advanced computer program. The automation of most manufacturing processes in industries will not be possible without the industrial robotic applications. There are different types of industrial robots,and they are used for several robotic applications in industries. Some of the industrial applications of robots include welding, handling of materials, painting, assembling, pick and place, palletizing, packaging and so on. In this article, we will be discussing some of the popular robotic applications in industries. 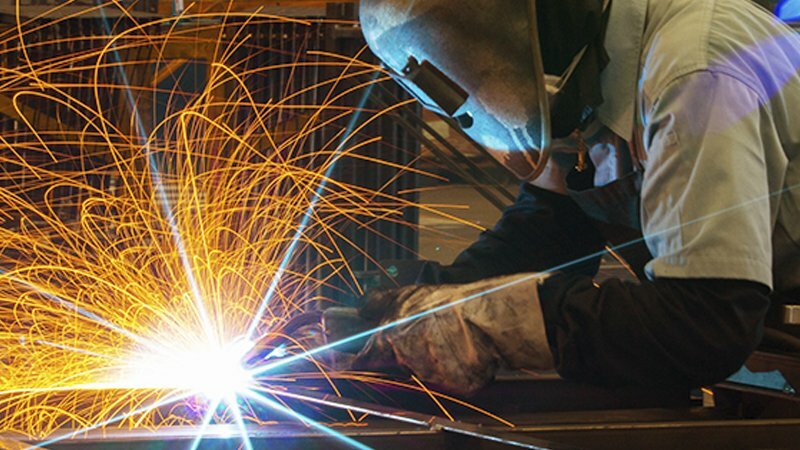 Welding is one of the first industrial applications of robots in the automotive industry. Robots are used to carry out two types of welding – arc welding and spot welding. Arc welding uses heat generated by an electric arc to melt metals and the melted metals fused together after cooling. Spot welding joins metal by passing high current through a spot to melt the metals and form the desired weld. The application of robotic welding has enhanced the safety of workers. Due to the high level of risk involved in moving products such as heavy boxes, parts, assemblies, etc. on to a pallet. Robots are now used in many industrial manufacturing settings to carry out the repetitive task of palletizing. 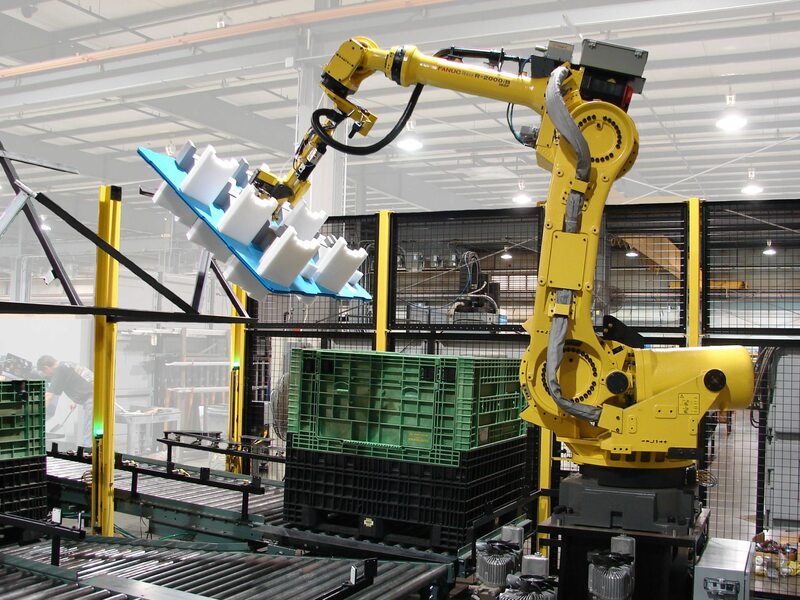 Robotic palletizing provides safe and effective solutions using leading-edge technologies. 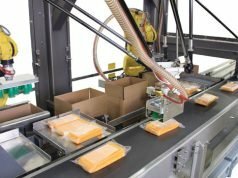 Another robotic application in industries is for picking and packing of products in a case or tray. In the majority of pick and pack operations, the products are repeatedly delivered on a moving conveyor at uniformly spaced positions.Robotic picking and packing enhance productivity and accuracy while also reducing the cost of production. One industrial aspect where robotic technology had stood out is in the area of industrial painting. Robots are used to produce perfect and consistently high-quality paint finish in automotive manufacturing plants. Robotic painting is used both in large-scale businesses and in smaller settings to meet the global standards. By using industrial robots for painting, material wastage and over-spraying issues are avoided. With the introduction of vision technologies, robots are also used to perform other tasks that are related to painting. They can be used to analyze and inspect an object, evaluate the size and recognize patterns. Robots can determine what part of an object to paint or what part to pick up or put down. The application of robots for material handling is commonplace in most industries. Material handling involves the use of a robotic arm to hold a part in place during production or to move production parts on and off a conveyor belt. Robotic material handling is in high demand due to its many benefits and a wide range of applications. The application of industrial robots for machine tending is similar to that of material handling. But machine tending is more specific, a robotic arm is used to load and unload raw materials on a static production machine. 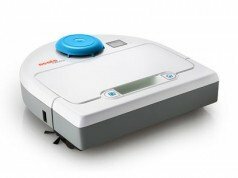 The use of robots for machine tending leads to the fast, consistent and more productive task. Robotic technology is improving,and more user-friendly robots that require no custom software are emerging. What this means is that in the nearest future there will be more industrial applications of robots. Some of the robotic applications mentioned above may be substituted with universal multi-function assembly robots with more advanced technologies. 3D vision and touch technologies are now being incorporated into robots making it easier to integrate robots along humans in industrial manufacturing operations.